If you’ve been looking for a dental office that can help you with care for your whole family, look no further than Robison Dental Group in Canton. Our doctors are committed to personalized care that helps every member of the family, regardless of age. After all, that’s what true family dentistry is all about. The best way for us to deliver this kind of dedicated care is through regular checkups and cleanings. That way, our doctors can address any needs you might have in a timely manner. We recommend coming in for a checkup about once every six months. That may sound like it’s pretty often, but it’s important. By coming in that often, we’re able to keep a sharper eye out for gum disease, tooth decay, TMJ-dysfunction, bruxism, and even oral cancer. To help us deliver quality, modern care, we use a wide range of contemporary tools. Two of the most important are DIAGNOdent, which helps us identify cavities early, and VELscope, which we use to screen patients for oral cancer. Both are comfortable for patients and effective for helping us make diagnoses and plan treatments. You can find out more about how each works by visiting their respective links. Are you ready to schedule an appointment for you or another member of your family? Our doctors are committed to boosting your oral health and your confidence through care that’s personalized, efficient, and comfortable. Give us a call today. 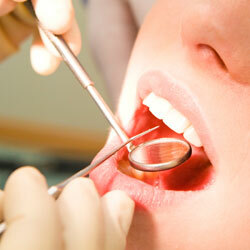 We serve patients from Canton, Ann Arbor, Northville, Westland, and Plymouth.